Soo I haven’t posted an OOTD picture up on my blog in a while! Back in the beginning of the year I sated that I would be doing my outfit posts on my social media. While that works out just fine, I want to get back into posting on my blog as well! After all this is also a Fashion Blog so lets get back to the basics! If you don’t follow me on any of my social media and have missed out on what I’ve been wearing this whole year don’t worry I will leave my stalker links below and you can search through my pics and see what I’ve been wearing. Enough of the Chat Lets get to the pics! I dont know about you guys but I am OBBSESSED with American Horror Story Coven! It my fave show ever! It comes on Wednesdays nights, so what better day to wear an inspired AHS outfit than on Wednesday! 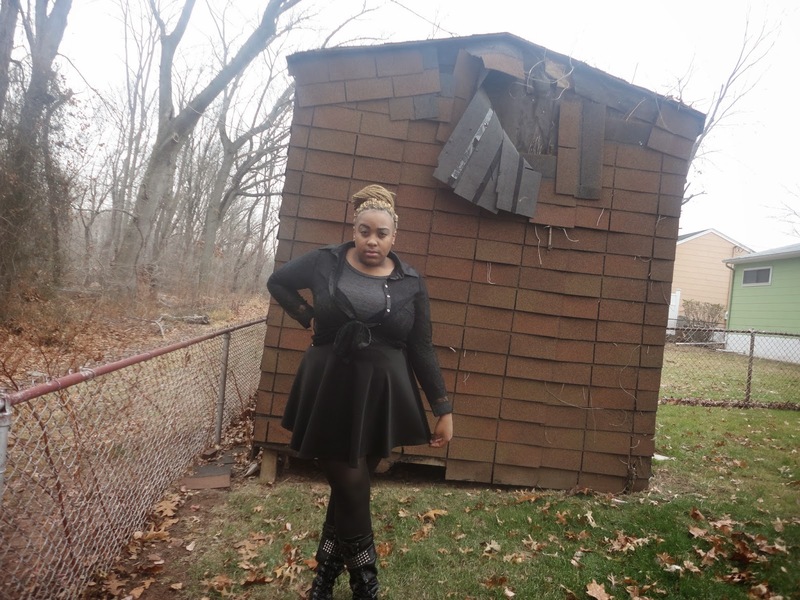 To match the look I’m going for, I decided to take pics by the most creepiest part of my backyard; my abandoned shed. Ok Ok so maybe I was little bit too dramatic with this look today, but I was in character so the setting had to match. My social media links below! Lets hope I can keep this OOTD blog post up! Until next time ladies love ya lots like tator tots!